My counter. Technically, it’s the desk my wonderful father made for me in elementary school, that I absolutely love. But right now, it’s serving some time as a kitchen counter. I was looking at it this evening after I put cinnamon rolls in the oven, and came to the conclusion that it’s a lot like my life. 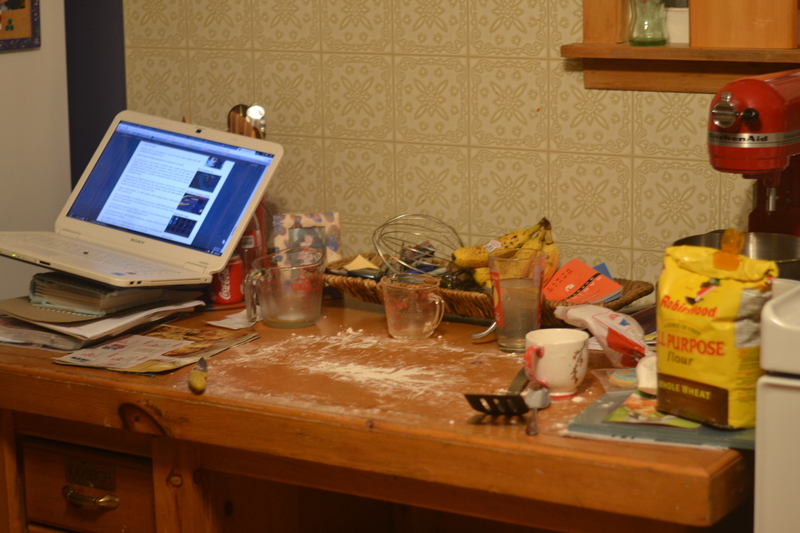 Look at the organized clutter, the spattering of flour and cinnamon, the balancing of the laptop. It’s got character, dents,scrapes, and doodles. Lots of love oozes out of it when I think of the time and love my daddy poured into it as he made it. (It’s got to be my favourite Christmas present ever. Seconded by the hope chest he made me a few years later.) My life is like my desk. Organized, but in a messy, ‘only-I-know-where-everything-is-but-it-REALLY-is-organized’, kind of way. Cluttered like my brain, jumping and crashing from one thought to the next. Spattered like the laughter, screams, squeals, and tears of my family, throughout every day. My life has had its share of dents and scrapes. Doodles are the fun, quirky times. So much love has been shoved into my life, and so much love squeezes out of me. It’s give and take kind-o-deal. There you go. My life in a desk. Didn’t think you’d ever come across that comparison now, did you? I may or may not need more counter space. Either way, I had just enough room, in this cluttered mess, to make Whole Wheat Cinnamon Rolls. I’m not going to share the recipe, I’ll just send you over to Piping Dreams for that. But I did just want to say hey, and share a few photos. Sorry (yet again) for being disconnected the past year. Spring was crazy. I thought, ‘Surely I’ll have some down time in the summer!’. I was wrong. Now that summer has flown by, and fall is at my heels, I’m thinking, ‘I must MAKE time through the fall and winter months!’. Will it happen? Only time will tell. But for now, I leave you with cinnamon and clove scents wafting through my kitchen into yours. As Lauren says in her post, these only take 30 minutes TOPS to whip up. You can have your house smelling like mine in no time. Or you can come over for coffee right now… or in the morning. Whichever. 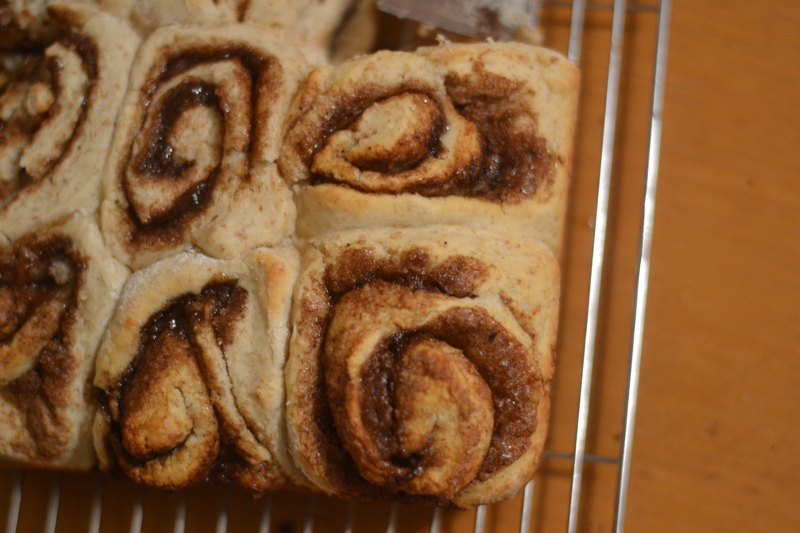 If you really aren’t into whole wheat, check out these bad boys: Nanny’s Cinnamon Rolls. Yummmm! 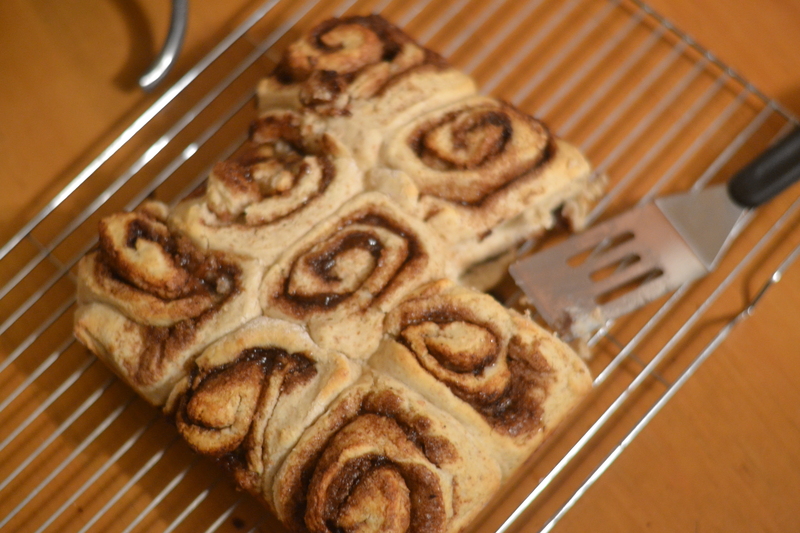 Or these: Apple Jelly Tea Rolls. So good. Soooo fall-ish. 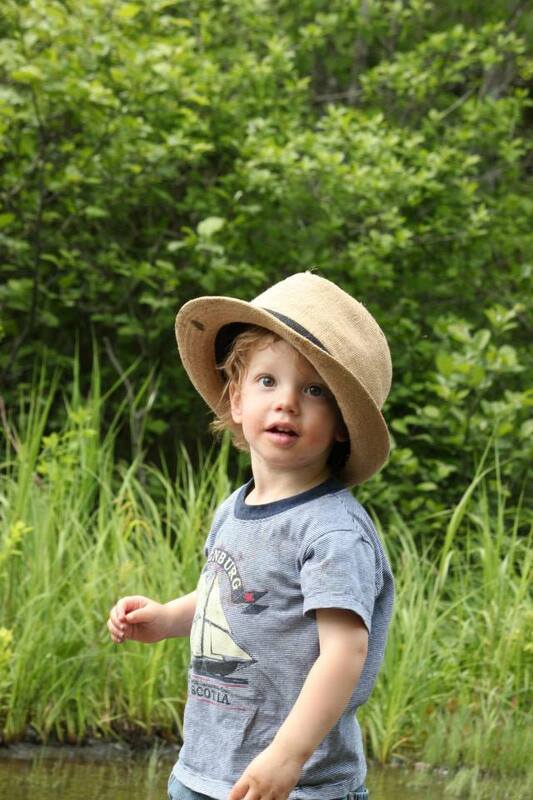 Pictures of the kiddos you say? Why, sure! I have a hat fetish. 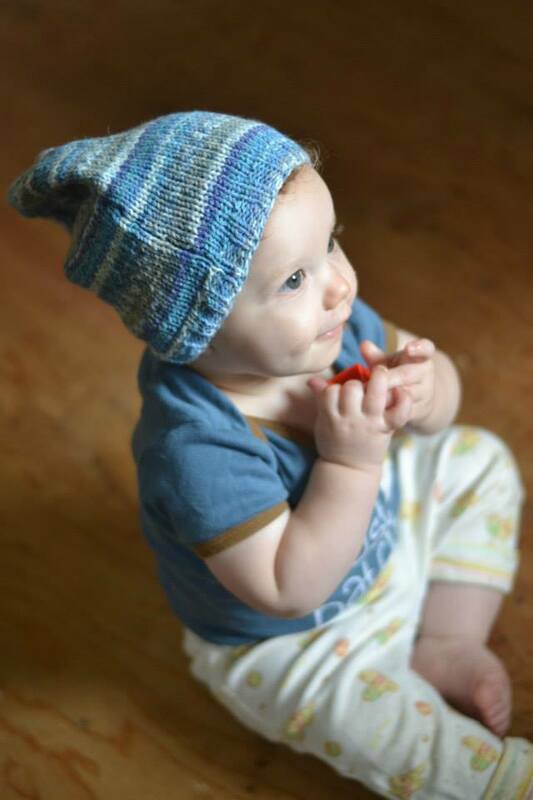 There are so many awesome hats that look absolutely adorable on little boys… *sigh.